If you want to open an e-commerce website then you need a reliable and fast theme. We developed such theme and you should check it. It is Egoods Opencart Theme. Developed especially for electronic stores this theme includes all you need and even more. It is highly responsive and works without issues on all gadgets and OS. It has prebuilt pages and you can use a theme to sell computers, tablets, smartphones, games and so on. You can also use it to sell any entertainment product or products like audio systems. 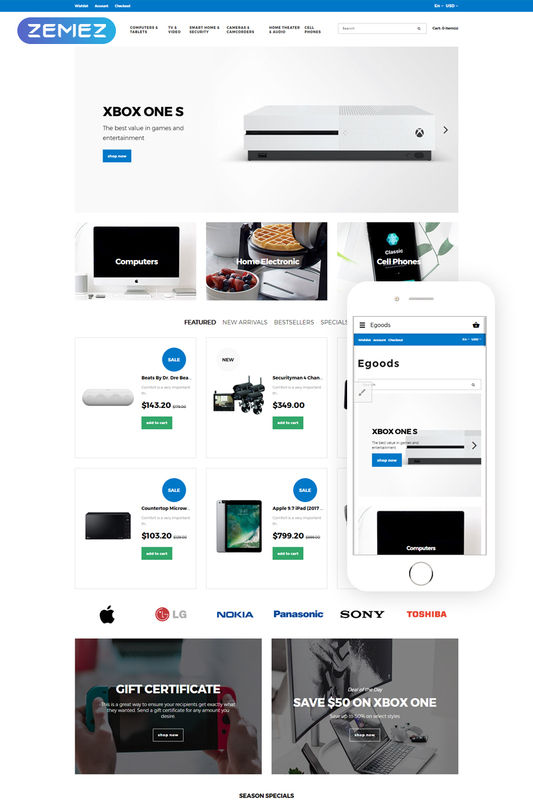 Egoods has full e-commerce plugin pack and you can use it to provide customers with comfortable shopping. In case you want to create your own and unique design you can edit a website without coding skills. Just do not forget to use your imagination.